This was a romance. A sweet and charming romance, but it lacked maturity, and reminded me more of a YA or serialised magazine story…in something like Woman’s Weekly or The Lady. It’s a story of two young people who meet while they’re studying in India and fall deeply in love. But each have ambitions that drive them apart geographically. Vivian…to follow in the footsteps of her humanitarian grandmother, wanting to make a difference in third-world countries, and Andrea, who has pledged to make a success of his father’s ailing glass factory in Venice. Each does his and her best to forget and move on from the love they shared, but, as they find, it’s an obstacle they find hard to overcome. The story lacked research, credibility and authenticity. Vivian was Spanish, Andrea, Italian and their study was in India. Somehow, there were no language barriers. The story was a little jerky, jumping around continents and time frames, and it was a little monotonous. Nothing very much happens until the end. 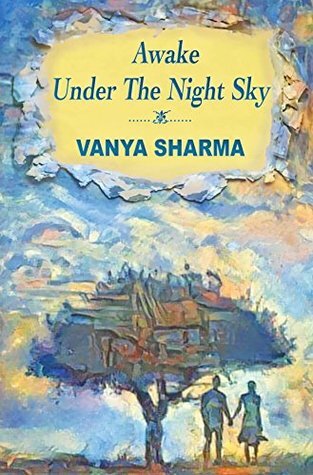 Sharma has tender and sympathetic way with words and can certainly execute a love story, but I think this was a little undeveloped and a tad ‘raw’. With experience and the proper guidance, I'm positive this author will evolve promisingly.